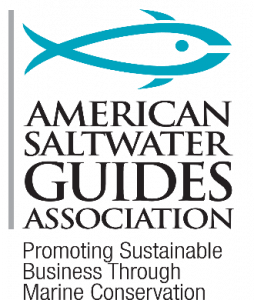 Oceanside, NY – With the purpose of promoting sustainable business through marine conservation, a group of saltwater fishing guides and recreational fishing business owners has launched the American Saltwater Guides Association (ASGA). The ASGA is dedicated to activating and empowering the conservation-minded recreational fishing community to protect marine resources for the benefit of anglers. The ASGA strives to provide a stronger voice and sound representation to the recreational fishing community, and intends to work with lawmakers and various fisheries management bodies by advocating for conservation through science-based management. It will focus on the positive economic impacts that accrue from management that promotes abundant fish populations and the economic harm that will inevitably result from policies that promote excessive harvest. The organization was cofounded by Capt. John McMurray, who will serve as president, and Tony Friedrich, who will serve as vice president and policy director. Capt. McMurray is a veteran light tackle fishing guide based in New York who has more than 20-years of experience working in fisheries management, including serving on the Mid-Atlantic Fishery Management Council for nine years and the Atlantic States Marine Fisheries Commission for two. Friedrich is also a 20-year veteran in the federal and state fisheries policy arena. He began his career working in the Chesapeake Bay and has moved on to broader issues that impact the entire coast. Both have a long history of working together and supporting the use of best available science to assess and implement fisheries management. Rich Farino, District Angling, Washington, D.C. The organization has identified striped bass, bluefish, menhaden and the reauthorization of the Magnuson-Stevens Act as initial management issues that it will focus its efforts on in the near-term. More information about the ASGA, its mission, board members and current areas of focus can be found at www.saltwaterguidesassociation.org.